Well, it's November! Can you believe it? I can. Only because time moves on regardless if I'm paying attention or not. Stay updated & make sure you catch up on last week's installment of 5 Things I'm Loving Right Now ♥. Last time I talked about the importance of taking a moment for yourself & releasing the stress you harbor in your day-to-day life. Today I want to speak about thankfulness since it is officially the month of American Thanksgiving. Whether you have a lot going on, harsh problems to solve, health issues that won't let up, a never ending pile of bills, there is something in your life you can be thankful for. It may be small, it may be momentary, but there is a teeny tiny little thing to be grateful for. Take a second to ponder & figure out what that is. For me, I am thankful for my overall health. I've had a myriad of appointments since it's the end of the year -- doctor, dentist, optometrist, periodontist. It was seriously unpleasant because going to the doctor's is not my favorite. However, everything is in order for the most part so I am quite happy about that. What are you thankful for? Moving on with the thankfulness, here are some things that I'm totally loving right now! Although it was brief & fleeting like the air you just breathed, I remain enamored by the rain. It lasted for a good 20 minutes & I excitedly relished its entire existence. 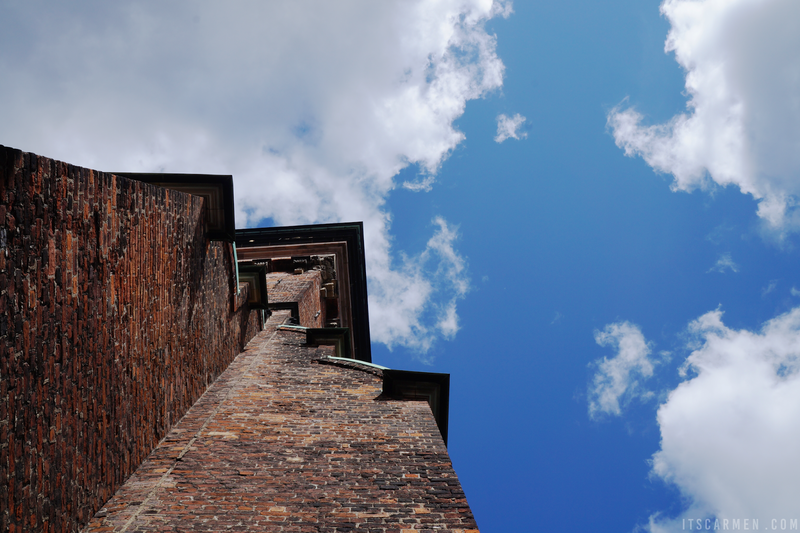 Feeling the frigid air in my lungs & the smell of wet asphalt left me wistful for more. Oh well. A San Diego girl can dream. And dream I shall. Being a blogger has given me the opportunity to frequent concerts, shows, & music festivals that I normally wouldn't have attended. I've experienced so many artists & enjoyed every moment of it. That's something I am massively thankful for. 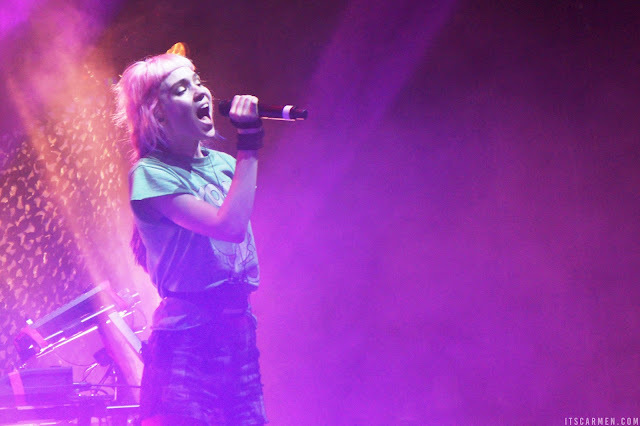 A couple weeks ago I ventured to Beach Goth & witnessed some crazy cool sets from Die Antwoord, DIIV, Grimes (pictured above) Juicy J, Mac DeMarco, RiFF RaFF, The Adicts, The Growlers, Warpaint, & more. I am consistently consumed with cooking shows at the moment. Last time it was The Great British Bake Off otherwise known as The Great British Baking Show in the United States. 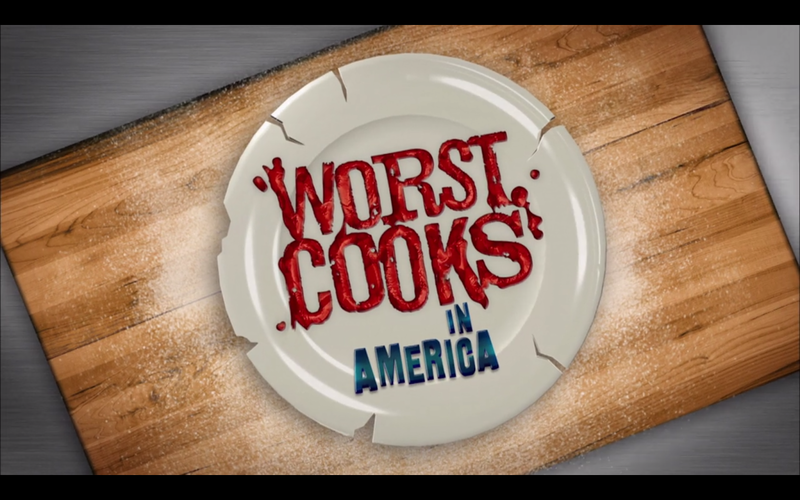 This time around I am flying through Worst Cooks in America starring chefs Anne Burrell & Bobby Flay. I absolutely wouldn't consider myself to be a terrible cook, but I can say that I've learned a thing or two from blasting through this. It's astoundingly inspirational to see just how awful some of the contestants were & where they end up. I found this little guy in the 50% off Halloween section & could not resist. There was a supernatural force enticing me to him. I haven't bought a stuffed animal in many a year but I don't regret this purchase whatsoever. 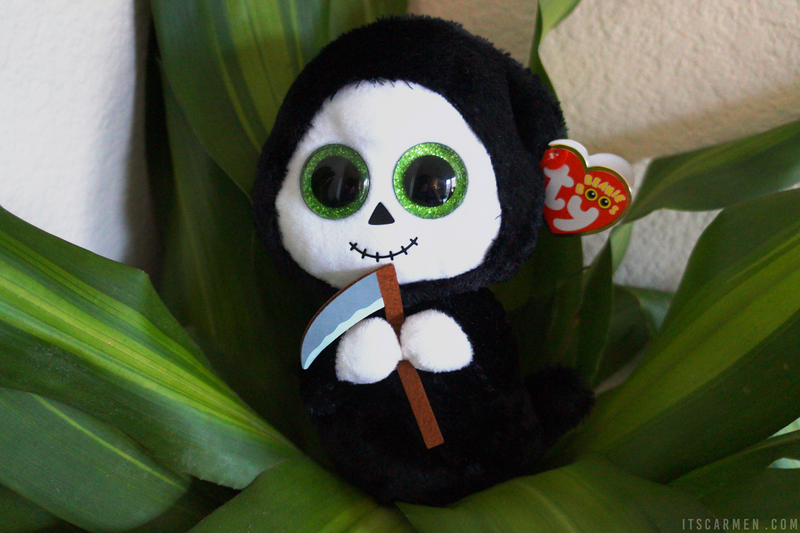 Grimm is a Halloween Beanie Baby or more creatively called a Beanie Boo. I am enchanted by this adorable stuffed friend & he is so, so soft. A casual stroll through the dollar store turned out quite lucrative. Whilst browsing aisle by aisle, I was thrilled to see they had fresh herbs for the unbeatable price of one dollar. I ended up choosing thyme & curled parsley. 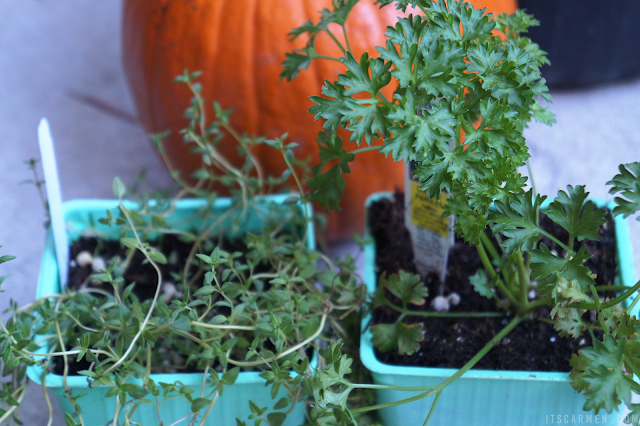 Can't wait to use these fresh herbs & add them to my petite but growing herb garden. This is a lovely post!!! It's so strange for me to see someone excited by rain, it hasn't stopped for a few days now here, I'd be so excited by some sun. Aww Id love to grown my own herbs, think I will try when we move into our new house. Great round-up of things! That little Grim is adorable, haha! I need to watch this show! Sound like something interesting and funny! I wish we could get some rain here, I love listening to the soothing sounds! Love rain too mostly during summer though so refreshing! I'm totally into fresh herbs right now. I'm working on a small garden here to always have some in hand when I need. I love the Grimm - I would have bought him too! I am thankful for my health as well. Al other things seem trivial if you don't have your health. And I will be thankful when the rain stops here. It's been raining for almost a month straight. I'm definitely looking forward to some sun. I don't think we have worst cooks in Amercia here in England! I'd love to watch a different kind of cooking show for once! i love it when it rains as well! Weather in my hometown has been horrible the past couple of months but when it rains, it's beautiful! Lovely post, and your Grimm is super cute and very cuddly. Enjoy the festive season. That Grimm toy is actually adorable! Lovely post, love reading about the lifestyle bits people love. We sadly don't celebrate thanksgiving here, but couldn't agree more that's its so important to be grateful for the joys in life, no matter how fleeting! Worst Cooks in America sounds amazing! Rain! It's actually raining right now and I've always loved rainy days, they can be so cozy. Love this post, it's so true that there is always something to be grateful for!